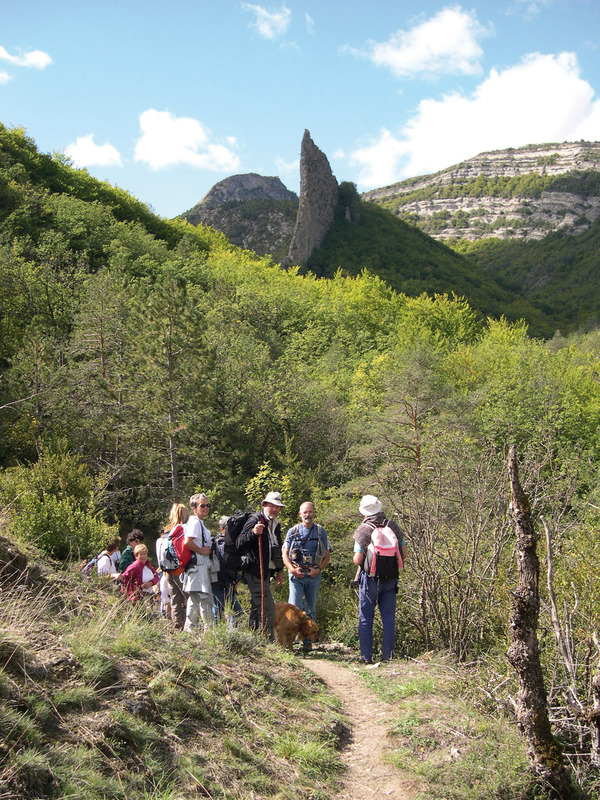 The “Haute Provence Geopark” acts in association with local enterprises that work together for a systematic development of tourism in zones which have so far been ignored by the public. An example has been the establishment of footpaths in three different valleys with the support of the LEADER II program. Wherever the visitor goes in the “Reserve Geologique de Haute-Provence”, the history of the Earth over the last 300 million years is well illustrated. The geological reserve covers an area of 200000 hectares of the south¬ern Alps in France, incorporating a to¬tal of 55 communities. It can also be regarded as Europe’s biggest geolog¬ical open-air museum with numerous fossil-rich sites and fascinating rock formations. Sign-posted discovery trails around the different sites can be reached from a series of interpretive centres within the reserve. Fossilised footprints of birds can be found in the reserve as well as fossilised plants. An extraordinary monument can be found within the attractive, wooded area of Saint BenoTt, two kilometres north of Digne. Here a huge rock shelf is covered with ammonites. More than 1550 ammonites are preserved on a limestone wall 320 square metres in size. 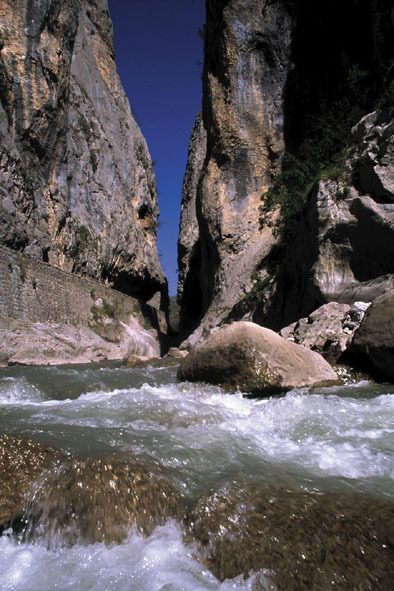 Guided tours are provided to sites where, for example, the skeleton of an Ichthyosaurus can be found while the Verdon gorgeoffers the opportunity to discover the beautiful landscape of Haute Provence. Verdon is the most spectacular of the French canyons with a length of 21 kilometres and cliffs of up to 700 metres in height. On discovery tours and educational trips, students learn about the need for, and the meaning of, geological heritage and protection. Information centres and exhibitions also offer guided tours and special publications for all visitors. The museums in Digne les Bains, Sisteran and Castellane are widely used andalso act as places where art and science meet. Frequent exhibitions are organized illustrating how themes of contemporary art are influenced by the relation of the artists to the natural environment.